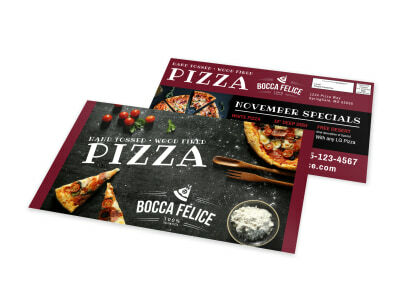 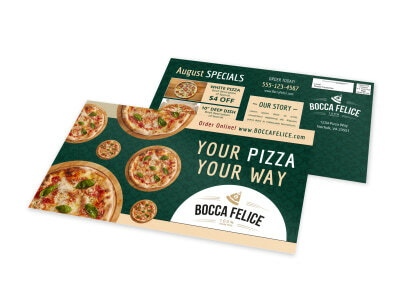 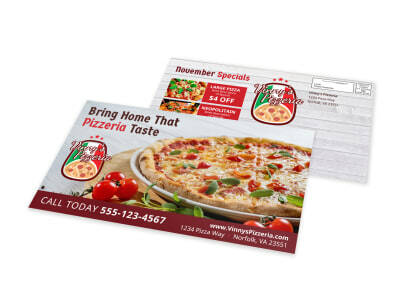 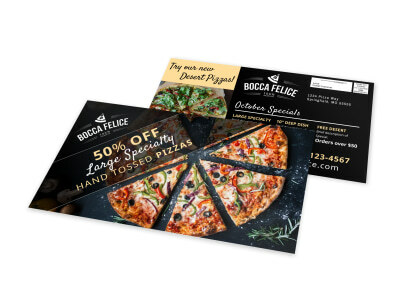 Targeted EDDM marketing with industry specific postcards is a wonderful outlet for growing your customer base and becoming a top eatery in your niche. 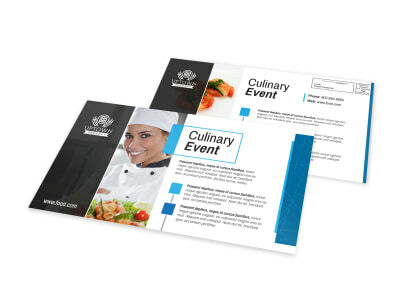 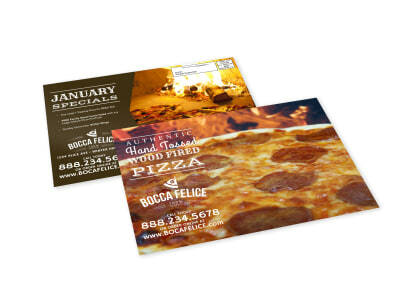 Our food and beverage EDDM postcard templates simplify the design and creation process and make it more affordable for you to get customized postcards into your customers’ hands. 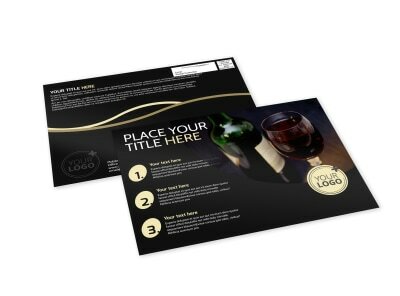 Upload your restaurant’s logo and tagline, and then add images you own or choose stock photos from our gallery to get your message across to your selected audience. 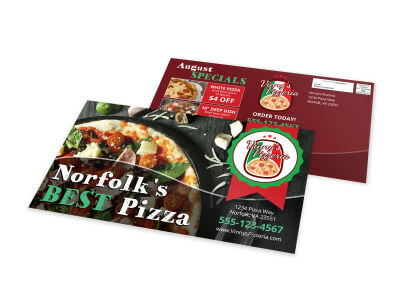 We can handle the printing for you, or you can choose to print your EDDM postcards yourself from your own printer.